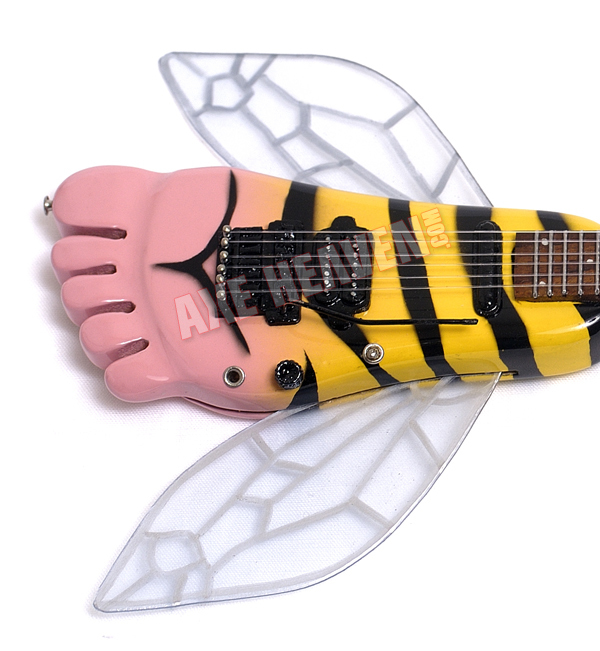 We worked with the guitarist Ron Thal from Guns N’ Roses to make his signature Bumblefoot miniature guitar. After the drying process, these mini replica colleectibles will go to our parts production department where we will add the functional wings and other hardware. Truly a unique process to see these miniature guitars come together. The finished Bumblefoot blew everyone away after its final assembly. 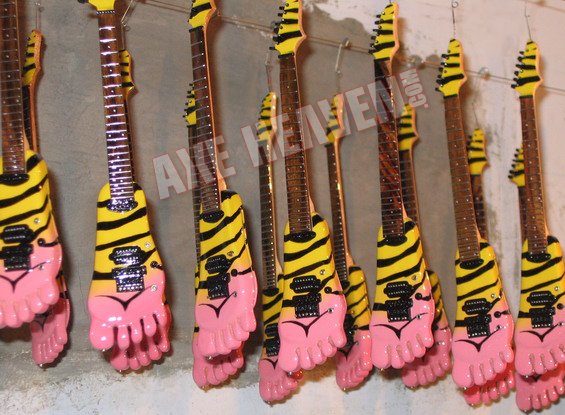 Bumblefoot miniature guitars in AXE HEAVEN® drying facility. The detail and functional wings are too cool! Ron "Bumblefoot" Thal shows off his miniature guitars by AXE HEAVEN®. 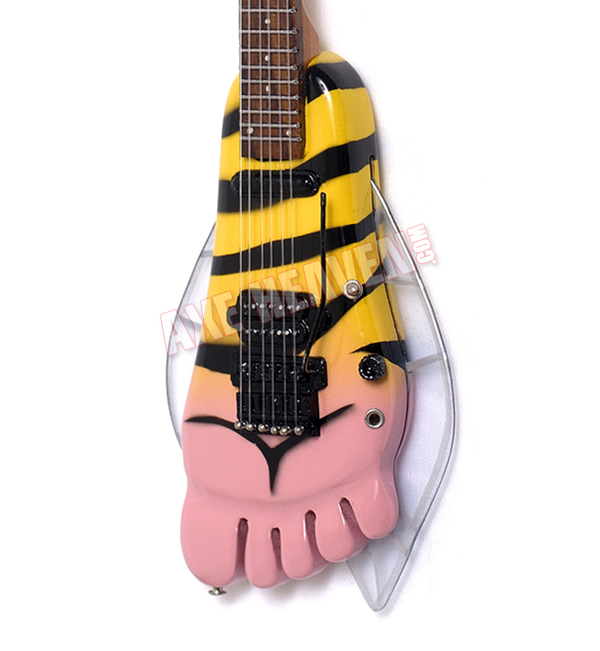 Click for mini guitar replicas from Ron’s Official “Bumblefoot” website.